Recently, there has been a great deal of attention paid to the US policy that removes children from the custody of their family members if they are seen to be crossing the border into this country illegally. Quite rightfully, the policy has been met with anger, shock, and even fear. People all over the country, including many nonprofits, have been called to action to fight this injustice. The unfortunate part of this story is that this is not a new policy, and it is still going on with Native American children. In fact, a judge in northern Texas recently ruled that the US policy designed to stop the practice, known as the Indian Child Welfare Act (ICWA), is unconstitutional. As reported by Rebecca Nagle on Indian Country Today’s website, Judge Reed O’Connor, a Republican appointee, has determined that the law is race-based and for that reason violates the equal protection clause of the Constitution. Although there are plans in place to appeal this decision, there is also some support for taking it all the way to the Supreme Court of the United States. The Goldwater Institute and other conservative groups and funders have been arguing this cause for many years. The implications of this case are very large, and nonprofit organizations should take note—particularly those in states where there are large numbers of Native American tribes and residents. ICWA was established as law in the United States in 1978 in response to a growing crisis in the number of Native American children being forcibly taken from their families and placed in non-Native homes and institutions to be raised. Stories abound about how the students at “schools” were required to cut their hair, not speak their native languages, and adopt Western culture and religion. It truly was an attempt to eradicate the Native American culture. At the time, research showed that up to 35 percent of all Native children were being taken from their homes, and 85 percent of these were being placed in non-Native environments. ICWA requires that in any case involving the placement of a Native child, preference should be given to placement with a Native family member, another Native family, or anyone at the child’s tribe. The goal is to keep the child within the tribe whenever possible and unless there is reasonable “good cause” to do otherwise. More information about ICWA can be found here. The Texas judge’s ruling is for a case brought by several families and the states in which they reside to declare that they should be given the right to adopt their current foster-care children even though the children are Native and placements in line with ICWA guidelines have been found. The determination is that ICWA imposes undue pressure on families to show “good cause” and requires state courts to defend a federal law. While Judge O’Connor’s ruling is currently limited to the Northern District of his state, if this decision is upheld by a higher court, the consequences for Indian Country could be devastating. “If ICWA is struck down, it’s not a distant legal argument for all of Federal Indian Law to be declared unconstitutional,” Adams says. Native American leaders are calling this is a terrifying moment for them and could call all relations between Native nations and the United States into question. Matthew Fletcher, a Native American who is a law professor at the Michigan State University, is quoted as saying that if ICWA is found to be race-related, then so are laws holding Native land in trust and the Indian Gaming Pact, for example. It could also challenge such items as the funds the federal government provides to help pay for Native American healthcare, or even the Violence Against Women Act, which contains special protection for indigenous women. 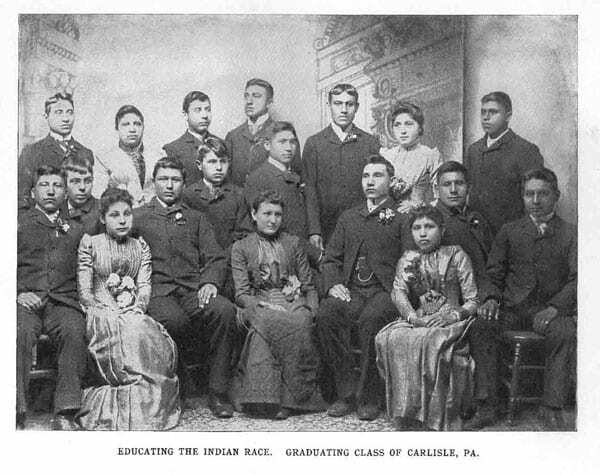 The status of Native Americans is unique, of course, in that they are residents of three distinct legal entities: their own nation, the state in which they reside, and the United States of America. This is a very delicate balance, as is clearly described by the National Congress of American Indians in a policy paper.